Adirondack style motel in the heart of North Creek, NY - the perfect as a base camp to explore the area! 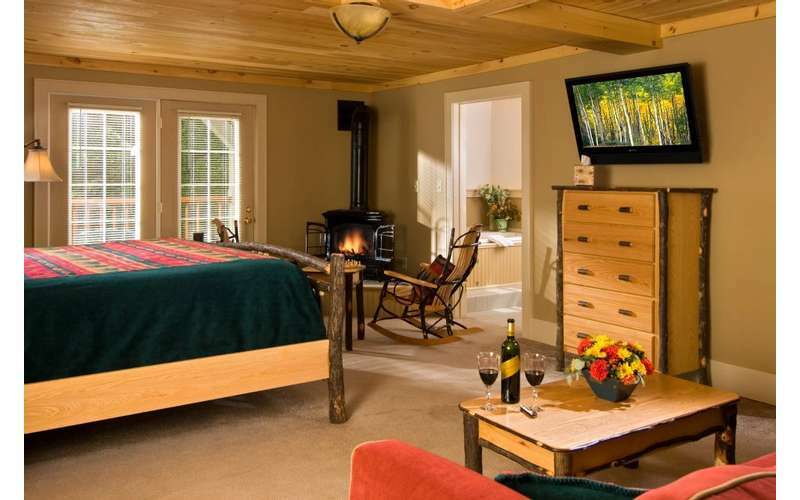 At the Alpine Lodge, you can enjoy the ambiance of an Adirondack styled lodge with all the amenities of your favorite hotel. We are located on Main Street, next to restaurants and cafes, and offer a continental breakfast each morning included in the room rate. 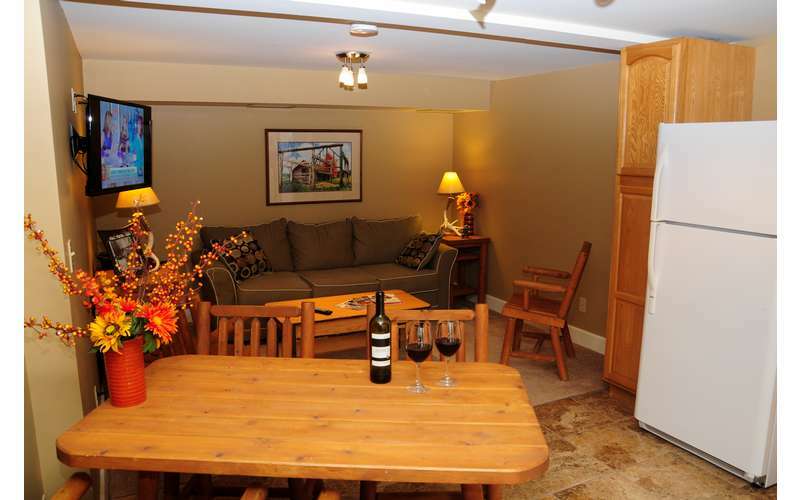 The Alpine Lodge features 14 cozy guest rooms and 4 kitchen suites. 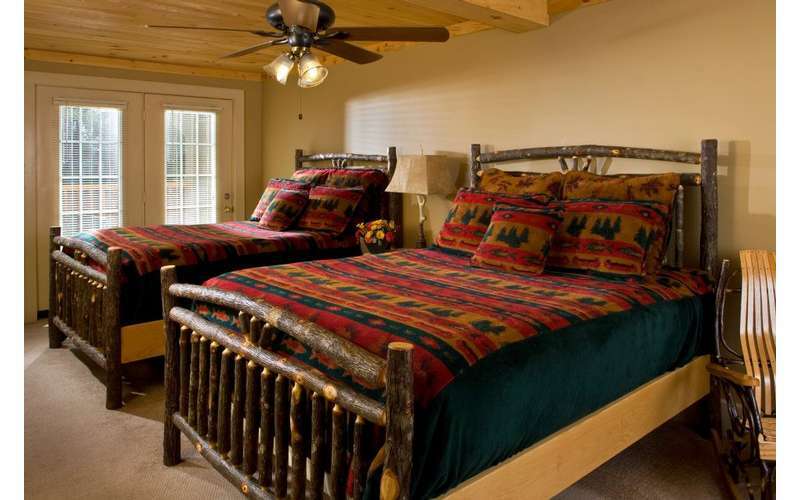 This Adirondack chic styled lodge offers a comfortable night's rest, powering you up for whatever outdoor adventures await! Each individually decorated guest room is cozy, and features a television, FREE high speed WiFi, specially designed furnishings, private bathroom with stall shower, radiant heat and air conditioning (in summer months only). 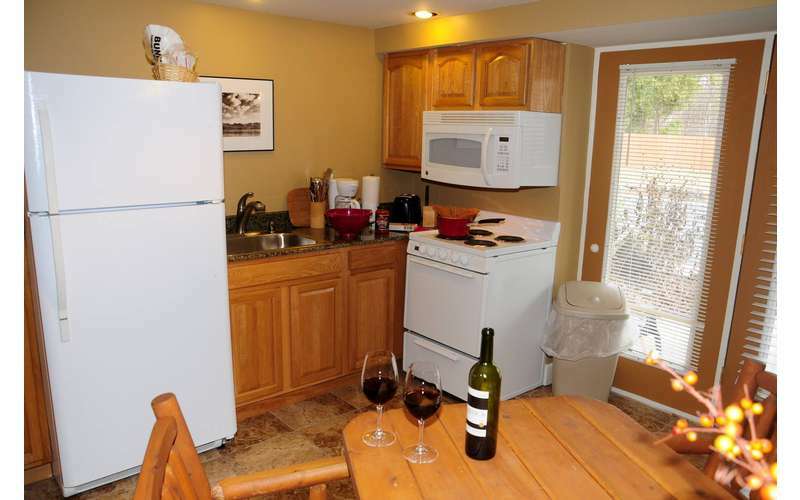 Some rooms boast a gas woodstove, spacious jacuzzi, and/or porch. 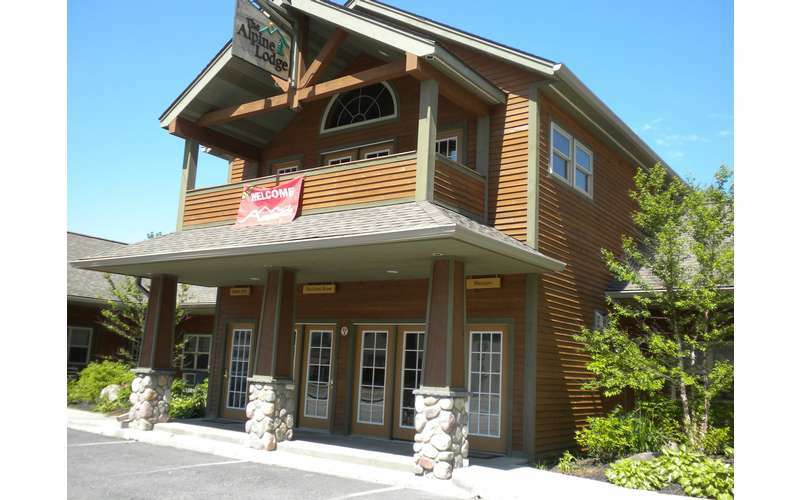 The Alpine Lodge is the newest and one of the most unique lodging facilities in the beautiful Gore Mountain region. The particularly special area of the Adirondacks is located in Northern New York and is located in the charming small town of North Creek. Right in the midst of the beautiful and scenic Adirondack Mountains, this convenient downtown location allows you to walk to restaurants, grocery stores, and shopping - perfect for après-ski task and fun! 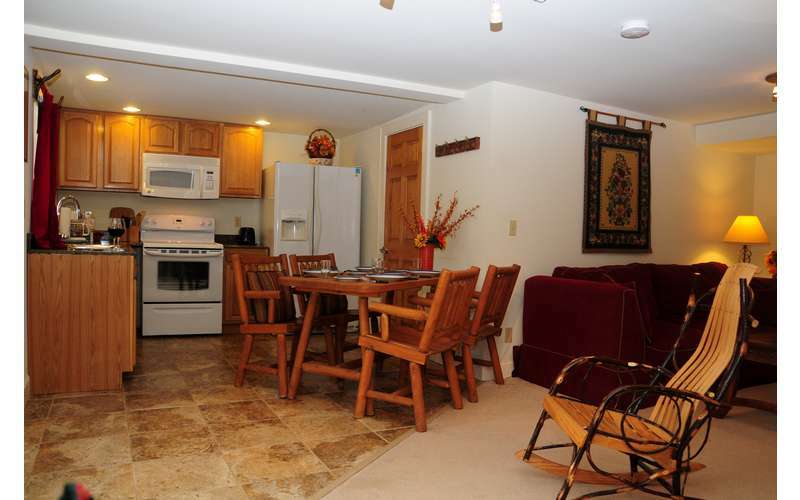 Just a 5-minute drive to Gore Mountain and centrally located among popular tourist destinations such as Lake George (1/2 hr), Lake Placid (1 hr), and Saratoga Springs (1 hr). 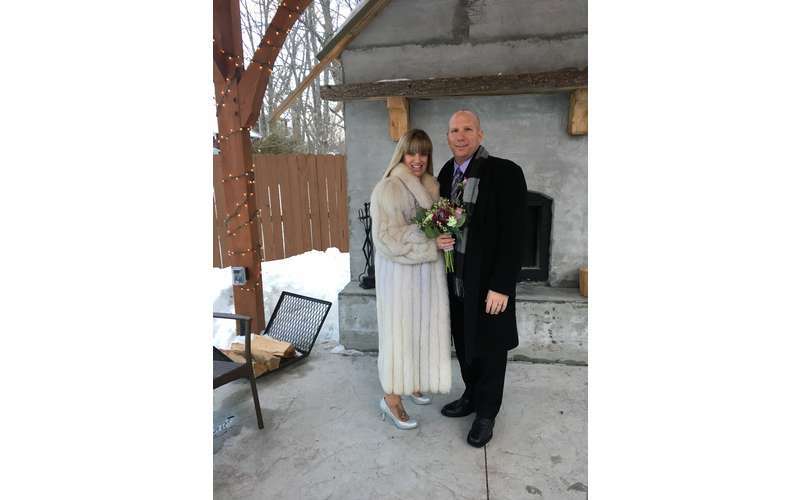 Our quaint lodge is the perfect location for both private and corporate events, along with intimate weddings. 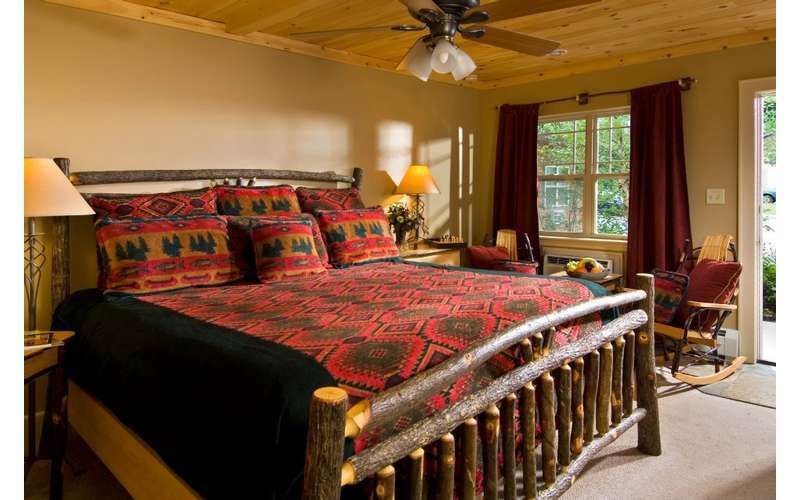 The rustic charm and modern day amenities offer you the ideal balance of nature and comfort. For more information or to reserve your group’s event, contact us at (518)-251-2451.